We all have our favorite candy. We can all recall the blurry commercial spots with an assortment of animals at Easter Bunny try-outs, but nostalgia doesn't make these eggs taste any better. However they have a loyal following and we'd be remiss to exclude them. 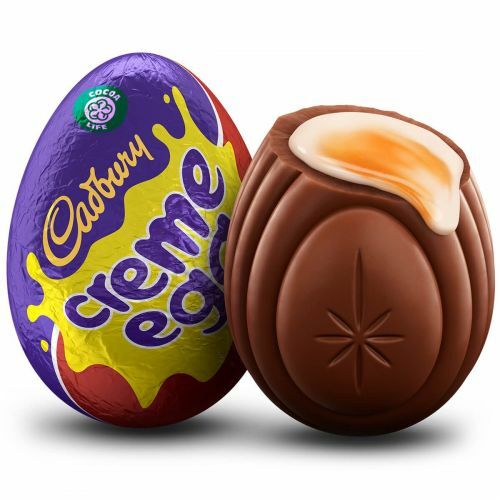 No list would be complete without Cadbury Creme Eggs. Go ahead and have a sickly sweet egg for old time's sake. Here are come of The Weirdest Candies You've Never Heard Of. Looking for something indulgent? These velvety chocolate beetroot cakes will hit the spot. Put the beetroot, eggs, oil and lemon juice in a food processor, and blend until smooth. In a bowl, whisk together the flour and sugar. Add the blended beetroot mixture, and mix until smooth. Add the baking powder and mix until fully incorporated. Pour the batter into silicone cake moulds. Bake for 30 minutes, or until you a pick comes out clean. Top with melted dark chocolate, and enjoy!